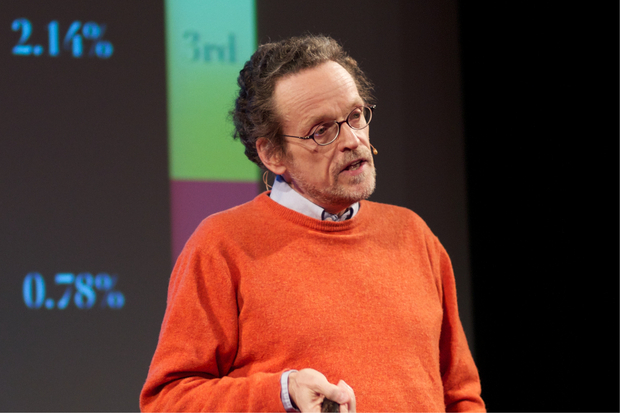 Thomas Pogge has taken Rawls’ Theory of Justice to a global level. He sat down with Sören Musyal and Martin Eiermann to talk about European solidarity, the democratic paradox and the line between academia and activism. The European: You live in the US. What is your take on the European debate about financial support for Greece? Pogge: There is tension between the interest of the nation-states to prop up their own economies and the desire to further the European idea. One thing seems clear: A policy of radical self-interests harms the collective. If small concessions happen routinely, the collective becomes rational. But the problem is that we begin to anticipate these concessions – and that pushes the collective towards irrationality. The European: How would you define solidarity? Pogge: Within Europe, the goal is to reduce income inequalities among states. And on an individual level, solidarity is the attempt to act in such a way as to overcome the worst inequalities in Europe or the world. The European: Much faith is put into the idea of a European identity. Can something like the EU function without a grand narrative like that? Pogge: It has always been the vision of Europe to overcome the monopoly that nationalism and patriotism held over our identities, and to offer another identity option at a higher level. It would be dystopian if people in Europe began to think of themselves only as Europeans and hunkered down in defense against anything outside the borders of the EU. Global inequalities would only grow. Pogge: We can already witness a defensive European position, especially in the realm of economic policy. Internationally, the EU is a prime driver of inequality. If you look at supra-national policies, Europe pursues its collective interests and has forced developing countries to accept intellectual property rights that mainly serve the European nations. The European: What alternative do you propose? Pogge: It would be good if the EU understood itself as part of a multi-layered global system that culminates in true global rules and organizations like the WTO and the UN, and whose aim it is to foster global justice. The EU should not act as a mega nation-state whose primary foreign policy goal it is to bend those institutions according to European interests. The European: How do you define justice? Pogge: The weak answer to that question is a commitment to human rights. We must design international institutions, rules and practices in such a way that they minimize violations of human rights. That is a minimum requirement that remains unfulfilled. But in a rich world, it is a reasonable demand. The strong answer to your question would be to demand certain equality standards. The world’s poor must have the chance to participate proportionally in economic growth. Today, the rules of the game are made by those in power and their lobby organizations. The rest is ignored. Not because the rich hate the poor, but because they only have to negotiate with other rich people. The European: In countries like China, Western corporations have helped to raise environmental or labor standards quite significantly. If we compare our Western rules with the rules that exist elsewhere, they fare pretty well. Pogge: To be able to say that, we have to think about the standards a bit more. What do we compare them to? The first comparison is a diachronic comparison: We look back twenty years and conclude that things have improved. But that comparison doesn’t impress me. If you looked at the situation of American slaves in the 1850s and concluded that it had improved since the 1820s, that wouldn’t change the fact that slavery remains wrong. The second comparison attempts to show that poverty could be worse than it is. That is often true but irrelevant. The important comparison asks whether there could be a better way to protect the human rights of the world’s poor majority. Of course it exists. Western companies are not much better than local companies is most cases; they often cut costs by outsourcing production to local companies. What we need are global baseline standards for the treatment of workers. That is the only way to stop today’s race to the bottom – which has led to high competition among developing countries, each trying to outdo the other by offering more exploitation of workers. Such baseline standards would not even affect the cost advantages of developing countries. I looked at the example of sneakers that are sold in the US for 100 Dollars. Of those 100 Dollars, only 2.50 Dollar are production costs. Companies could certainly raise working conditions a lot and raise the price by just one Dollar to keep profits steady. We in the West can provide momentum for that kind of change: We should demand that the World Trade Organization – which prescribes very tight intellectual property rights for its member countries – also prescribed global baseline standards to protect workers against exploitation. The European: Are you proposing an ethics of responsibility for the global stage? Pogge: You are probably thinking of Max Weber. But Weber’s ethics of responsibility demands that politicians concentrate on the interests of their respective nation-states. He had no problem with a state that occasionally kills people because it served its interests. Barack Obama falls into that category as well, he sends his drones into Pakistan and lets them bomb people. Sometimes they hit terrorists, but mainly civilians. So an “ethics of responsibility” is pretty consequentialist, except that some interests count more than others. That’s precisely what we should strive to avoid. It is our responsibility to ensure that the global rules and international organizations are treating the vital interests of all people justly. We must reform them to reduce today’s grave human rights deficits as far as possible. The European: Your argument presupposes our ability and our will to globalize feelings of empathy. Pogge: That might sound utopian at first, but we have already accomplished a similar project on the national level. We have emancipated ourselves from the idea of concentric circles of responsibility: That everyone should think of their family first, then of our friends, then of everybody else. At least in the realm of politics, those distinctions have been voided. If I were a politician and had to judge legislative bills, I would have to be blind towards the potential effects of that bill on my family. Every national politician must pursue justice on a national level. We would even criticize voters that support better educational opportunities for girls only because they have daughters themselves. The European: We need the internationalization of solidarity, but also the internationalization of institutions? Pogge: Yes, but I want to make a different point: I think that national governments can negotiate with each other. But at a supra-national level they should abandon their own interests and consider what is best and just on a global scale. Most people hear that and say: “Mr. Pogge, that is absurd! I cannot participate in negotiations about global economic structures and forget that I am from Germany.” But that is precisely what we have to do when thinking about questions of justice. When we have established just rules, everyone can go back to pursuing their national interests. But the rules need to be just. That is our responsibility, because only under a just framework can competition lead to just outcomes. When the rules are unfair, the outcomes are unjust. The European: You argue that justice must be globalized, but you also defend the sovereignty of the people. Where are those rules supposed to come from? We fail at constructing a sense of community even on the national level. Pogge: That is the paradox of democracy. On the one hand we want the majority to decide. And on the other hand we want to see the right results. Those two demands are opposed insofar as the majority does not necessarily make the right decisions. But I would resolve that conflict usually with a bias towards democracy: If I don’t like the prevailing opinion, I must persuade others. That is the task of the intellectual. The answer to the paradox cannot be a rejection or subversion of democracy. The European: The topics that are most hotly debated in Germany are very bourgeois: the future of nuclear energy, political participation, renewable energies. These are not questions of life and death. Pogge: You are right. And you are hinting at the idea that justice is not just about outcomes but also about processes. We need processes that are really democratic, not only fair on paper. We must include the poor and the uneducated, we must give them a fair chance at participation and debate. In Germany, things look somewhat alright. In the US, I don’t even want to use the term “democracy” anymore. The whole thing seems to function according to the principle of “one dollar, one vote”. Money dominates politics – and excludes a vast majority of the population from the political discourse. We must change the system and exterminate poverty if we want to ensure real participation. The European: You have said that it would be “risky and naïve” to assume that the system could easily change. Now you talk about attempts to persuade people. Are you a pessimist? Pogge: On a factual level, I am pretty pessimistic. I see rapidly worsening climate change, proliferation of weapons of mass destruction, poverty, hunger, population growth and inequality. But on a personal level, I can change a lot. Many intellectuals like to retreat into the ivory tower and build theoretical constructs. But it is the task of every individual to search for windows of opportunity and tip the first domino. One must be opportunistic and find partners to work with: NGOs, politicians, citizens. As a philosopher and a critic of the system, I know that I need allies. The European: We did not expect that much pragmatism. Pogge: I am not a Marxist or Hegelian on this issue. I believe that even small change can have very large consequences over time. When you divert a space rocket only slightly from its course, it will be in a very different place a hundred years from now. The European: You are not a consequentialist. What do you believe in? Pogge: Contracry to consequentialism I believe that my responsibility for global deprivations is dependent on my causal relationship to those deprivations. It is largest where I am involved in the design and implementation of international structures. Today, supra-national institutions have a large degree of influence of the lives of people around the globe. And we, as citizens of influential states, have a special responsibility for the design of those institutions. And contrary to consequentialism I also believe that damages that are prescribed or explicitly authorized by rules are more morally problematic than damages that result from inefficient rules or poor enforcement of existing standards. The European: How does that responsibility manifest itself? Do you want us to retreat from unjust structures or try and change them from within? Pogge: There is a third way. I call it the “Oskar Schindler solution”: You remain within the system and try to compensate for the human rights deficits that are caused by the system because of your contribution to it. If you simply retreat from the system, nobody benefits. The European: Camus once wrote: “Too many have dispensed with generosity to practice charity”. Your description sounds like we could continue to compensate without attacking the underlying problems. Pogge: Of course we should all work towards reforms. But reforms are an elusive goal; my generation has largely failed in that regard. So the immediate aim is to ensure that we make up for our share of the perpetuation of global poverty through the best available organizations. The European: And despite all of this, you don’t question the system as a whole? Pogge: I think it is unrealistic to work for the overthrow of capitalism. But my definition of it tends to be rather expansive: Capitalism means the private ownership of the means of production. Justice can be achieved within that framework. But we must ensure that income and wealth are not only for the elites. They must be widely shared if we want to prevent the undermining of democratic governance. The economic system must be separated from the political system. In the Scandinavian countries that works fairly well, and Lula has made great progress in Latin America. Why should we not be able to change things on a global scale? The average income of the top five percent is three hundred times as high as the average income of the bottom 25 percent. What a discrepancy – it prevents the bottom quarter of the world’s population from voicing their interests about the design of international rules. The European: Where is the line between academia and activism in all of this? Pogge: Many academics look at my work and question whether it constitutes philosophy. They say that the task of the philosopher is not to engage in the real world. You can sense a bit of arrogance in that attitude: One does not want to enter the fray and risk a bloody nose. At the same time, activists accuse me of being a philosopher. Both sides fail to understand that we have to bring theory and practice together. Both are pretty worthless in isolation. The European: Moral philosophy is a practical science? Pogge: Yes. Not in the sense of realizing it, but in the more fundamental sense of not having substantive meaning without a connection to reality. I realized that point when I looked at the first principle of justice that my former advisor John Rawls had formulated. In every society, people are beaten and basic rights are curbed. So the question is: How do we quantify such abuses to see whether Rawls’ first principle has been satisfied? Where Rawls failed to provide an answer to that question, his theory failed to function as it should have. It could no longer provide a socially shared set of norms that serve as the basis for defending political and institutional priorities. And without those norms, it fails to be a theory of human justice. We don’t know what the theory means, how we should actualize it in the real world.